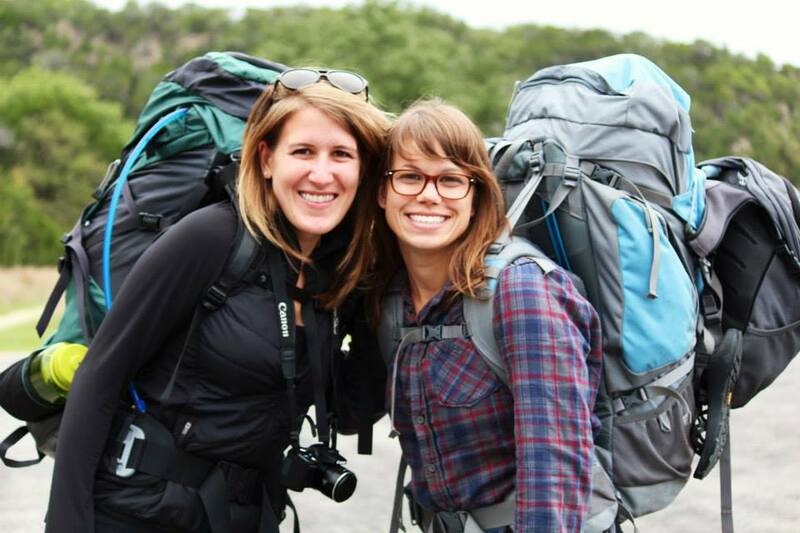 Wanderlust and Research: A travel blog from four graduate students. 5 Reasons Why You Should Engage in Citizen Science. Citizen science is when volunteers assist scientists in their research. A citizen science project can involve anywhere from a handful of people to thousands, depending on the scope of the research. Generally, the volunteers help with aspects of extensive data collection or analysis that would be nearly impossible for a single scientist to accomplish alone. Enthusiasts of citizen science, Kelsey & Margot. We have lead citizen science teams on various projects in the past, including BioBlitzes and other intensive biological surveys. In our most recent undertaking, we are collaborating with EarthWatch to lead teams of citizen scientists in Costa Rica. Over thirty citizen scientists joined us throughout our 2014 field season to offer their time, effort and resources to our respective scientific research projects. What, at first, seemed like a huge undertaking (we are responsible for 30 humans? ), ended up proving to be an incredible and worthwhile experience. 1. Fun! It is down right fun. Being in the field alone can be a good time, but being in the field with a team of people, excited and craving to learn about science and research, is a transformative experience. 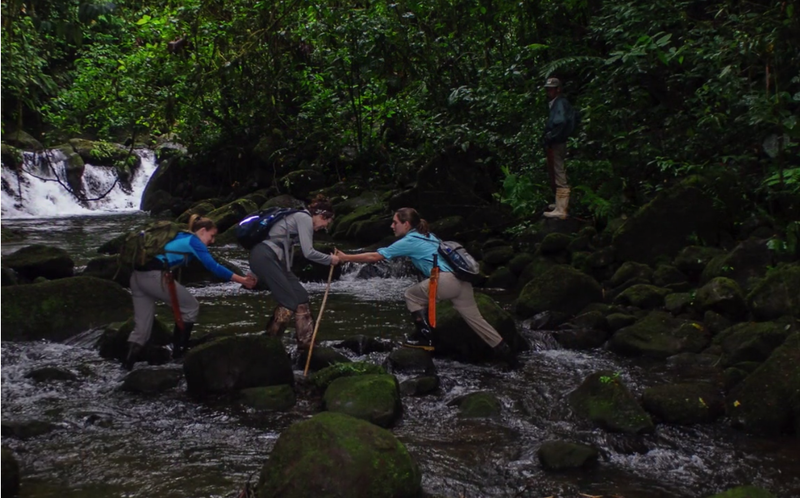 When you are in the field with volunteers, do not be surprised if there is a spontaneous dance party in the jungle or an impromptu a cappella version of OutKast’s “Hey Ya!” as you collect data. During long bouts of field work, it is difficult at times to remember that you are undertaking a task that you love (hopefully). The fresh faces of citizen scientists remind you why your research is exciting and important. Plus, at the end of a long work day it is nice to kick back, chat about nature, and relax in good company. These middle and high school teachers arrived to Costa Rica as strangers and left as great friends. Vegetation plots are 10 times quicker with the extra hands! You know the saying, “two minds are better than one”? Well, ten or fifteen minds are even better. And lets not forget 20 to 30 more hands! More hands means more gear can be carried, more area can be covered, and therefore more data can be collected. This is especially important in labor intensive, time consuming field work that cannot be accomplished with a small research team. This can include climate research that incorporates bloom monitoring across the country, tracking far-ranging animals, or measuring vegetation. Other examples of citizen science projects can be found here. With the extra help from trained citizen scientists, the data can be collected efficiently and with less costs to the researcher. And really, what scientist doesn’t want mountains of data (remember that whole thing about needing large sample sizes)? Volunteers become masters of data collection! 3. 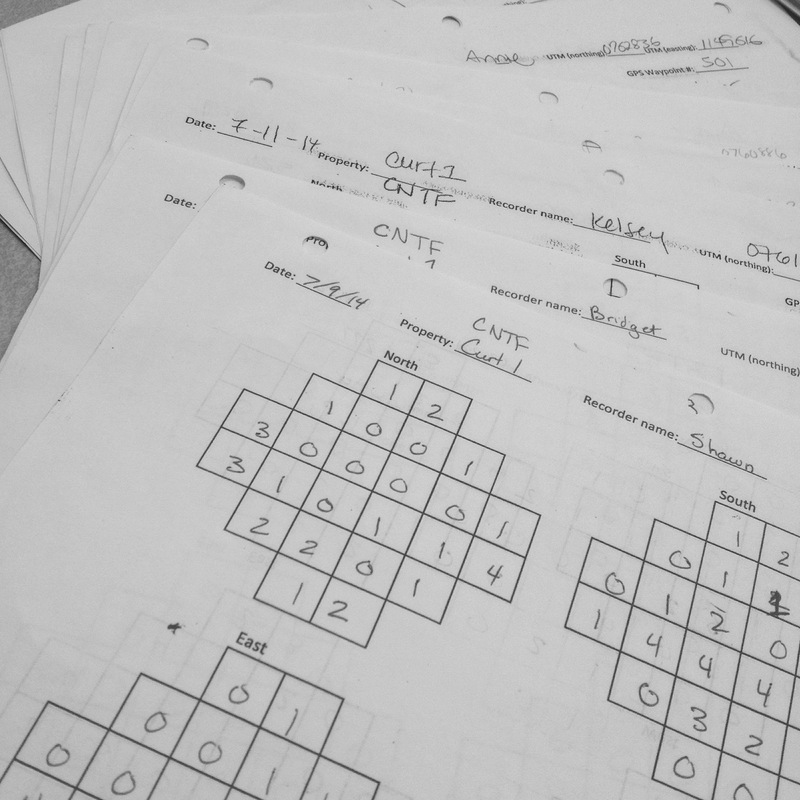 Multiple data readings. And quality control check. It is important to collect accurate data. Mistakes are common in field data collection, especially when a procedure is repetitive or you are working out in the elements. Double-checking the accuracy of data should be a priority, however it is not always conducted due to time constraints and logistics. Wouldn’t it be lovely to have people checking your collected data? Once citizen scientists are trained in the correct methodology, they are able to cross-check and verify that measurements are taken and recorded precisely. Measurements can also be taken multiple times by different individuals to further increase the accuracy of your data and minimize human error. 4. Diverse viewpoints and backgrounds. What is important to teenagers these days? What information do teachers need in their classrooms? What makes someone donate much of their time to citizen science projects year after year? There is no cookie cutter volunteer. People come from all different backgrounds, age groups, and professions. For example, you may be joined by an inner-city teenager, a retired chemistry professor, and an international student studying forestry. While this diversity is cool for obvious reasons (we love people who love science! ), it is also beneficial because each person brings a different skill set and a new perspective to the research project. In our own experience with citizen scientists, we noticed that each demographic had their strong suit. For instance, the teens excelled with some of the more advanced technological aspects, like using the GPS units. On the other hand, the adults tended to be more thorough and precise with measurements. Both are greatly beneficial! A great group of teachers with diverse backgrounds and personalities. Additionally, it’s important to remember that everyone has different motivations for joining the research project, as well as varying degrees of research experience and interest in science. Many scientists become so immersed in their projects that they often mistakenly assume that everyone recognizes the value of their work. When your research volunteers come from diverse backgrounds, it becomes necessary that you spell out exactly why your research is important. Working with citizen scientists is an excellent opportunity to remind yourself why you started the scientific endeavor in the first place. Most scientists are familiar with the term “broader impacts”. Broader Impacts sections are growing in importance for granting institutions, most notably NSF. Many of us ask ourselves, “how do I achieve these broader impacts in my research?”. One way to accomplish broader impacts is to work with citizen scientists! It is important for the public to be engaged with and understand science. Citizen science projects that engage teachers, nature lovers, and students are exactly what “broader impacts” is all about. It gets scientists and the public working together, which can bridge gaps and make science better understood and more accessible. Margot and Pablo, an undergraduate student from the National University of Costa Rica, collaborating on research. Another way to achieve those broader impacts is to mentor undergraduate students. Undergraduates are always eager to gain field experience and willing to help on research projects. In exchange for the training and experience, you get extra help from enthusiastic volunteers, and simultaneously knock out those “broader impacts”. In both of our lives, we are pursuing graduate degrees in science because we had awesome graduate student mentors leading the way. Not only are broader impacts increasingly gaining weight in grant applications, but they are also our responsibility as scientists. Engaging in citizen science and outreach is important in cultivating a society that is knowledgeable about science and research. The ultimate goal is to have an educated public who will be able to formulate opinions and make informed decisions about science policy. You will also become a better scientist by teaching your research. You learn to explain the importance and purpose of your research because citizen scientists will ask many “why” questions. You are forced to dig deeper into the meaning of your research and why it should matter to other people besides yourself. You are teaching people to care and understand science! Volunteers return home with hands-on experiences and spread the word about your research and the importance of your work, perhaps encouraging others to volunteer or support similar projects. Citizen science is a win-win experience for everyone involved. Scientists are able to amass spreadsheets full of data in a quick and efficient manner, brush up on their leadership skills, and fulfill broader impacts requirements by conducting scientific outreach. The volunteers have the opportunity to take an active role in scientific research and understand science through hands-on methods. And teacher volunteers bring their personal experiences back to the classrooms to inspire students, the next generation of scientists. The EarthWatch volunteers have echoed, “This experience changed my life”, and we can certainly say that they have changed ours as well. Win-win, for both science and society.